Several of my pinhole images, from the Figurative series, have been a part of The Pinhole Resource Collection for many years. The Pinhole Resource, owned by Eric Renner and Nancy Spencer, is located in New Mexico and houses the world's largest collection of pinhole imagery. 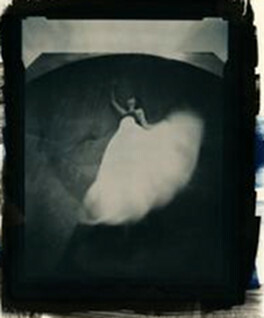 In April, 2012, the Pinhole Resource Collection was acquired by the New Mexico Museum of History, Palace of the Governors Photo Archives, in Santa Fe, New Mexico. I'm thrilled that my imagery will also be included in the upcoming exhibition showcasing this Collection, Poetics of Light scheduled to open on April 27, 2014 and run through March 29, 2015.